Submit your pencil drawings of Spiderman here. Your sketches will be posted as part of our art gallery for others to see. The poster below is a starter image to help inspire you. Your Spiderman drawing can be from a different scene. There is no cost or obligation to enter. The purpose here is to share your pictures online and if you want to explain how to draw Spiderman (and other comic book characters) that is encouraged but not required. We will not sell your artwork. 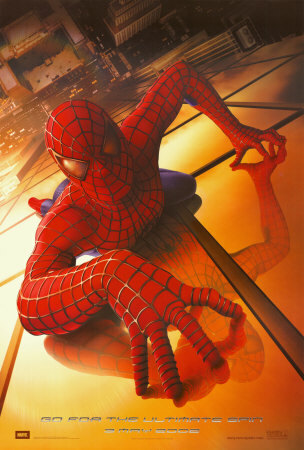 We sell only licensed Marvel Spiderman images and other comic book heroes. Stop by often to see what others have posted. Click here to leave Pencil Drawings of Spiderman for more links to artists and their online art galleries, art prints and art posters. Browse the links found at the bottom of Home Page.